We believe in the commanded observance of the seven annual Holy Days that were given to ancient Israel by God; were kept by Jesus Christ, the apostles and the New Testament Church; and will be observed by all mankind during Christ's millennial reign. These Holy Days reveal God's plan of salvation (Colossians 2:16-17; 1 Peter 1:19-20; 1 Corinthians 5:8; 15:22-26; 16:8; James 1:18; Exodus 23:14-17; Leviticus 23; Luke 2:41-42; 22:14-15; John 7:2, 8, 10, 14; Acts 2:1; 18:21; 20:16; Zechariah 14:16-21). When God delivered the nation of Israel from captivity in Egypt, He commanded the nation to participate in special worship during the harvest seasons of the year (Exodus 23:14-16; Deuteronomy 16:1-17). God defined these celebrations as His festivals, or "the feasts of the Lord" (Leviticus 23:2-4). The gospel message and God's plan of salvation are enriched by understanding that the physical harvests of food crops are types of the spiritual harvests of humans through God's gift of salvation by Jesus Christ (Matthew 9:37-38; John 4:35; 15:1-8; Colossians 2:16-17). The seven annual Holy Days are annual Sabbaths. They are holy convocations, or commanded assemblies, of God's people. These days are holy because they are sanctified (set apart) by God. He commands His people to assemble for worship and to learn about Him and His plan. His command goes further than worship only; it includes fellowshipping and rejoicing together (Leviticus 23:1-4; Deuteronomy 14:23-26; Nehemiah 8:1-12). The New Testament record shows the continuity of observance of these days by Jesus Christ and the Church. Jesus observed these festivals, and we as His followers are told to walk as He walked (John 7:8-14; 1 John 2:6). The New Testament Church began on an annual festival--the Day of Pentecost (Acts 2:1-4). The apostles and disciples of the early Church continued to observe these festivals long after Jesus' death and resurrection (Acts 18:21; 20:16; 27:9; 1 Corinthians 5:8). Paul upholds their observance and presents them as continuing "shadows" or outlines of the great events in God's plan of salvation that are yet to be fulfilled (Colossians 2:16-17). He also instructed the congregation in Corinth, "Let us keep the feast" (1 Corinthians 5:8). Through the observance of these feasts, God's people focus on and are reminded throughout the year of the work of Jesus the Messiah. 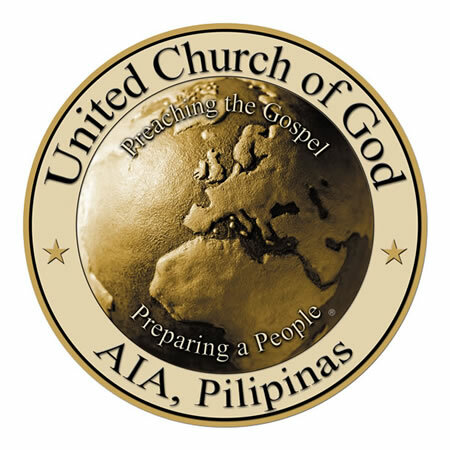 It is through preaching the gospel of the Kingdom of God and the divine calling to a new way of life (John 6:44) that we see the building up of the Church as the family of God. Through Christ as our focal point, we begin to understand the special meaning behind the annual feasts. During the course of the seven annual festivals are seven Holy Days, which are annual Sabbaths. 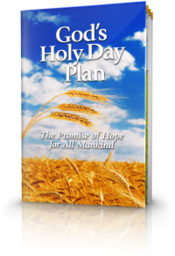 These Holy Days are the first and last days of Unleavened Bread, the Feast of Pentecost, the Feast of Trumpets, the Day of Atonement, the first day of the Feast of Tabernacles and the Last Great Day. Although the Passover is a festival, it is not an annual Sabbath. The plan of salvation as revealed in the Holy Scriptures is pictured in the meaning of these seven annual festivals. The Passover teaches us that Jesus Christ was sinless and, as the true Lamb of God, gave His life so that the sins of humanity could be forgiven and the death penalty removed (1 Corinthians 5:7; 1 Peter 1:18-20; Romans 3:25). Passover, although not observed as a Holy Day, is the first festival of the year. The Feast of Unleavened Bread teaches us that we have been called to reject lawlessness and repent of sin. We are to live by every word of God and according to the teachings of Jesus Christ (1 Corinthians 5:8; Matthew 4:4). During this festival, leaven symbolizes sin and, as such, is removed from our homes for the seven days of the festival (1 Corinthians 5:7-8; Exodus 12:19). By eating unleavened bread we picture living a life of sincerity and truth, free from sin. The Feast of Pentecost, or firstfruits, teaches us that Jesus Christ came to build His Church. This festival pictures the coming of the Holy Spirit and the establishment of the Church. The firstfruits are those who will be given salvation at the return of Christ. They have been empowered with the Holy Spirit, which creates in each one a new heart and nature to live by the commandments of God (Exodus 23:16; Acts 2:1-4, 37-39; 5:32; James 1:18). The Feast of Trumpets teaches us that Jesus Christ will visibly return to the earth at the end of this age. At that time He will resurrect the saints who are no longer living and instantly change those saints who are still alive to immortal spirit beings (Matthew 24:31; 1 Corinthians 15:52-53; 1 Thessalonians 4:13-17). This festival commemorates the blowing of the trumpets that will precede His return. Seven angels with seven trumpets are described in Revelation 8-10. Christ will return with the blowing of the seventh trumpet (Revelation 11:15). The Day of Atonement teaches us that Jesus Christ gave His life to atone for the sins of all mankind. It also points to the time when Satan will be bound for 1,000 years (Leviticus 16:29-30, 20-22; Revelation 20:1-3). This Holy Day pictures our High Priest, Jesus Christ, making atonement for our sins, which allows us to be reconciled to God and enter into the "holiest of all" (Hebrews 9:8-14; 10:19-20). By fasting on this day, we draw closer to God and picture the reconciliation of mankind to God. Christ is essential in this process as our High Priest (Hebrews 4:14-15; 5:4-5, 10) and as our eternal sacrifice for sin (Hebrews 9:26-28). The Feast of Tabernacles teaches us that when Jesus Christ returns, a new society will be established with Christ as King of Kings and Lord of Lords. Christ, assisted by the resurrected saints, will set up His government on the earth for 1,000 years (Revelation 19:11-16; 20:4; Leviticus 23:39-43; Matthew 17:1-4; Hebrews 11:8-9). Rule under His laws will spread from Jerusalem throughout the world to usher in an unprecedented period of peace and prosperity (Isaiah 2:2-4; Daniel 2:35, 44; 7:13-14). The Last Great Day, or eighth day, teaches us that Jesus Christ will complete His harvest of humans by raising from the dead and extending salvation to all human beings who have died in the past and have never been given a full opportunity for salvation (Ezekiel 37:1-14; Romans 11:25-27; Luke 11:31-32; Revelation 20:11-13). The annual cycle of the celebration of the festivals and Holy Days reminds Christ's disciples that He is working out His plan of extending salvation from sin and death and offering the gift of eternal life in the family of God to all humanity--past, present and future.